To complement 2012 as the National Year of Reading, Australian Women Writers are posing the Australian Women Writers 2012 Reading and Reviewing Challenge. The goal? To help counteract gender bias in the reviewing of Australian women’s writing by actively encouraging the reading and reviewing of books written by Australian women writers throughout 2012. All formats are genres are fair game including hard copies, ebooks and audiobooks; new, borrowed or stumbled upon serendipitously. Want to participate? 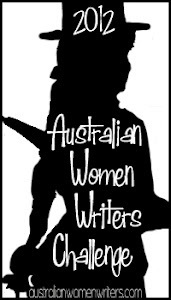 Visit Australian Women Writers 2012 Reading and Reviewing Challenge for details on how to join in!